The High Court has exempted five lawyers of the Supreme Court from the contempt of court rule after accepting their apologies for obstructing court proceedings through shouting and vandalism at courtroom. 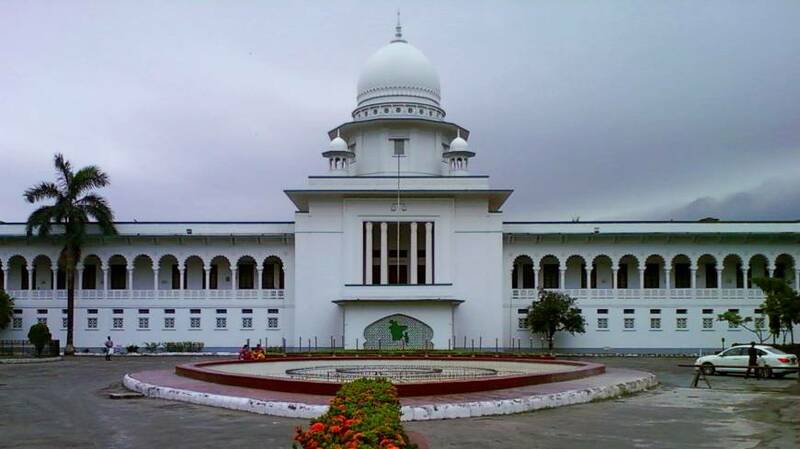 The HC bench of Justice Md Nazrul Islam Talukder and Justice Khizir Ahmed Choudhury passed the order on Thursday after accepting their unconditional apologies. The court also asked the registrar of the Supreme Court concerned to investigate whether the officer of the HC bench concerned have any involvement in any illegal financial dealings. Earlier, five lawyers of the SC -- Advocate Nur-e-Alam Ujjal, Lijen Patwari, Sultan Mahmud, Matilal Bepari and Mohammad Ali -- offered unconditional apologies to the High Court on Monday for obstructing court proceedings through shouting and vandalism at courtroom. Some lawyers shouted at the court for not holding hearing of a case as per the cause list of the court, saying they were involved in dealing cases at the cause list illegally on June 19. They also assaulted a bench official named Rafiqul Islam over the issue, leaving him injured. Later, the court asked the five lawyers to appear before it on July 2. On July 2, when the five lawyers appeared before the court it fixed July 10 for hearing.